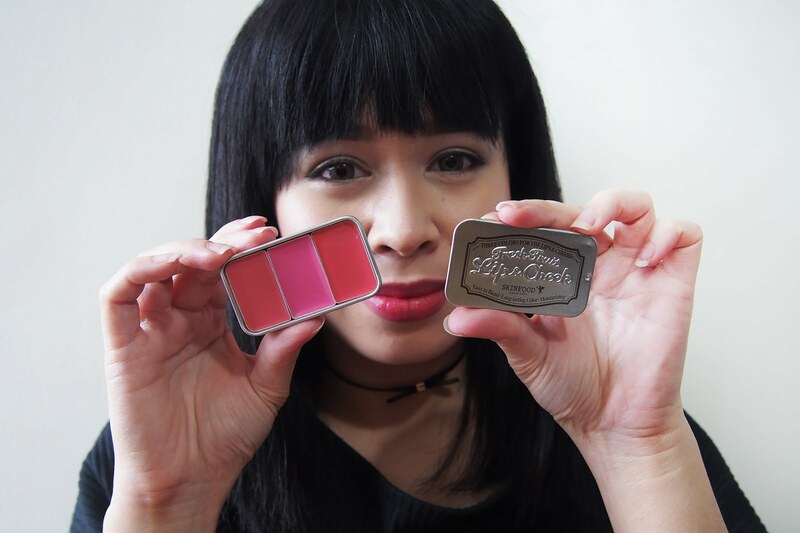 Here's Skinfood's Lip & Cheek Tint Trio, the last of my Althea Lip Tint haul. Currently, there are six variants available for the lip & cheek tint trio (Orange, Strawberry, Cherry Tomato, Fig, Fruits Mix & Plum). I only bought the Fruit Mix. 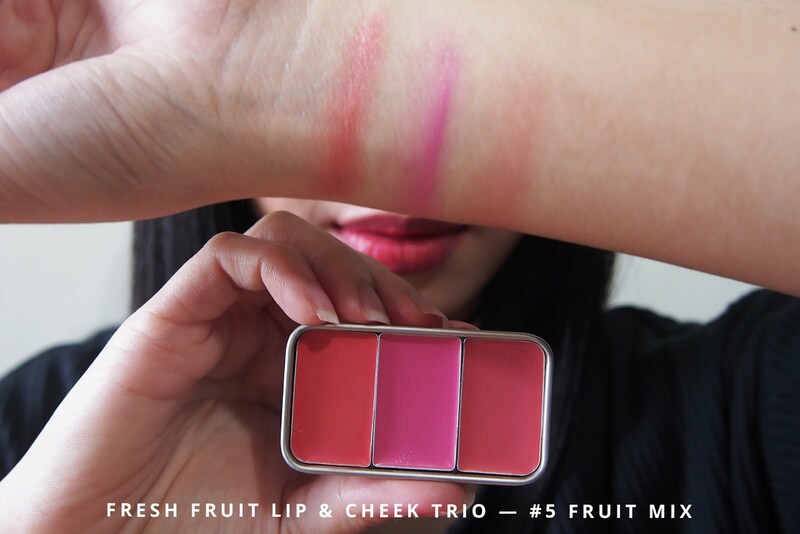 Skinfood lip & cheek tint trio colors are inspired by fresh fruits. It's two-in-one formula doubles as a lip color and blush. 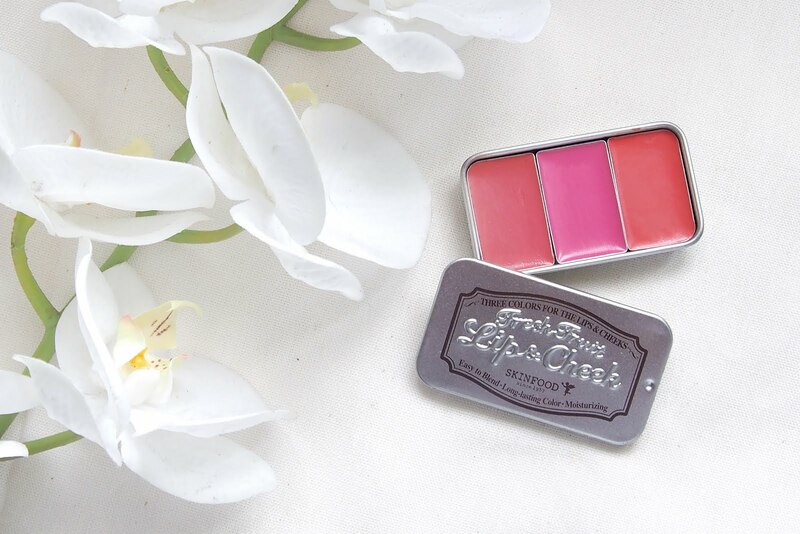 Each box comes with three shades to add a fresh fruit flush and a natural rosy glow. It has a creamy consistency and can be layered to achieve the desired color. Ever since my experience with the Missha blending sticks (read post here) I've become a bit skeptical with makeup in cream formulas. I just feel that cream based makeup doesn't suit my skin and for some reason the blending sticks didn't last as long as expected but I'm giving these lip and cheek tint trios a chance. I honestly love the color of this tints, specially the shade in the middle. The pigmentation is great as well. It smells really really good too, so fruity. The only thing I'm not liking is that it looks a bit sheer and glossy based on the swatches. I haven't tried it on my cheeks and lips so I can't really give my full review yet but I'm loving it so far. Hopefully, it's long lasting. I'll be taking this with me on my trip to Singapore on October then I'll update this post when I get back. One more thing why I like this tint is it's small and compact, it's a good 2-in-1 product to have when traveling. I did bring this with me during my Singapore trip and used it almost everyday. The staying is power is pretty good. The purplish shade is definitely my favorite. The lip & cheek tint isn't super pigmented, but you can easily build the blush up until you get the tint that you want. Sadly, I lost the lip & cheek tint and couldn't find it when I came back to the Philippines. Huhu.